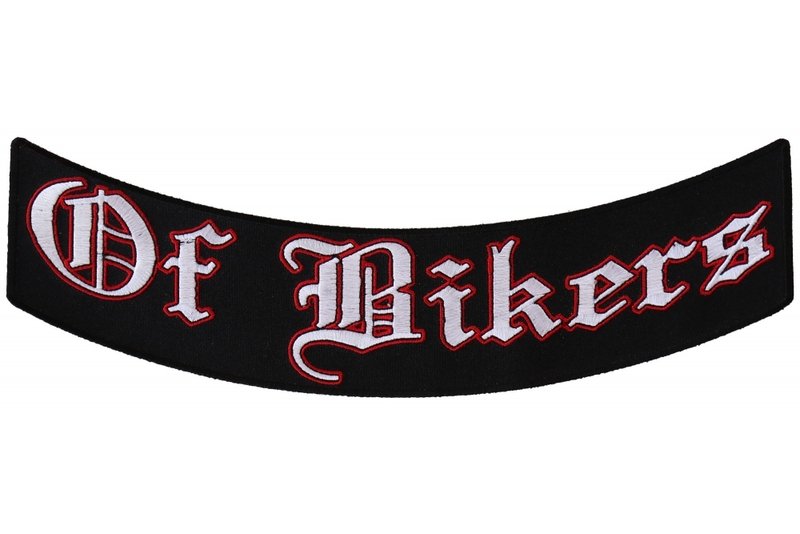 Of Bikers Lower Rocker Patch is embroidered in white and red over black. The patch is arched to go on the back of your vest. Measures 11x4 inches. Specifically to accompany certain other rockers we sell here at The Cheap Place.